These similar people were those who surrounded Pancho Villa, the Mexican bandit/revolutionary who led his forces against federal armies during the Mexican Revolution. Villa left behind a group photo that can be of assistance in the matter of visualizing Muhammad and his associates. 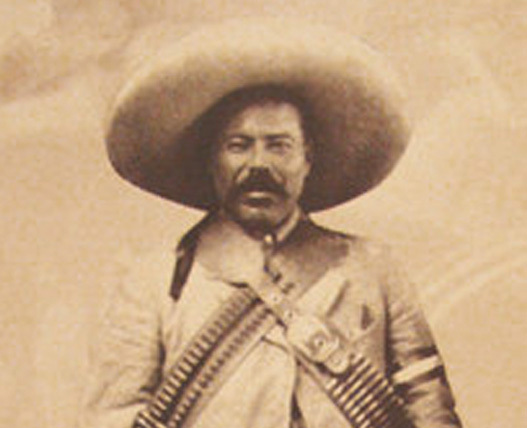 As historical accounts show, Muhammad and Pancho Villa and their closest supporters were similar. Villa was a feared killer who slew a man for the first time when he was 16 years old, then turned to banditry until the revolution made his predatory skills useful. Like most of the leaders of this 10-year revolution, he executed people who were captured in battles. On occasion he wantonly killed civilians, as occurred in a mountain village in Sonora after townspeople fired on his soldiers, mistaking them for bandits. They made another mistake by not fleeing into the mountains despite warnings. “As soon as Villa entered the town, he ordered all its adult male inhabitants to be herded together. After keeping them in prison for one night, he ordered all of them to be shot. He made a few exceptions when a village priest knelt before him and asked him to show pity for the villagers. At this point, Villa spared a few lives but told the priest never to show his face again. When the priest refused to heed his warning and came once again to ask Villa to show mercy to his parishioners, Villa pulled out his pistol and shot the priest himself. Sixty-nine villagers were shot by Villa, seven of whom managed to feign death and escape the massacre.” The Life and Times of Pancho Villa, p. 532. Compare this to Muhammad when he executed as many as 900 Jewish men and boys for refusing his religion. They had briefly sided with his enemies during an attack, but then backed out. He used this as a pretext to slaughter them. “Then they surrendered and the apostle confined them in Yathrib (Medina). . . . Then the apostle went out to the market of Yathrib and dug trenches in it. Then he sent for them and struck off their heads in those trenches as they were brought out to him in batches. . . . There were 600 or 700 in all, though some put the figure as high as 800 or 900…. This went on until the apostle made an end of them.” Ibn Ishaq, The Life of Muhammad, p. 464. All psychopaths are the same; only their victims are different. 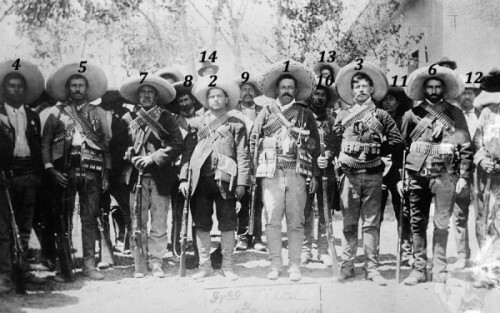 Muhammad and the elite of his companions in their reincarnated form at the time of the Mexican Revolution. 1. Muhammad, the son of Abdullah. (b. A.D. 570, d. A.D. 632) In his younger days he was of average build and looks, with a full black beard and a gift for mesmerizing people with his speech to the point that his detractors accused him of sorcery. When he was older he became barrel-chested, gained weight to the point of corpulence, and walked with a lurch. He hennaed his beard so that it was blazing orange. People were so enticed into believing he was the interface between God and man that they drank water he washed in and smeared his spittle on their skin in the hope of acquiring some of his elements. This was to insure they would not burn in hell because they did not think God would incinerate anyone bearing elements of the “Messenger of God,” as Muhammad called himself. 2. Ali, the son of Abu Talib. He was a paternal first cousin of Muhammad and was one of the men who did most of the beheading of the 900 or so of the Yathrib Jews. He was the fourth ruler of Islam — the “commander of the Faithful” as the caliphs were called. He was short but broad-shouldered, with a powerful upper torso that made him ferocious in battle. He was assassinated in A.D. 661. To this day Iranians depict him with a halo and await the return of his descendant, the Mahdi, the Hidden Imam, whom they believe will bring Islam to the entire world. 3. Abu Bakr, the first caliph after Muhammad’s death. 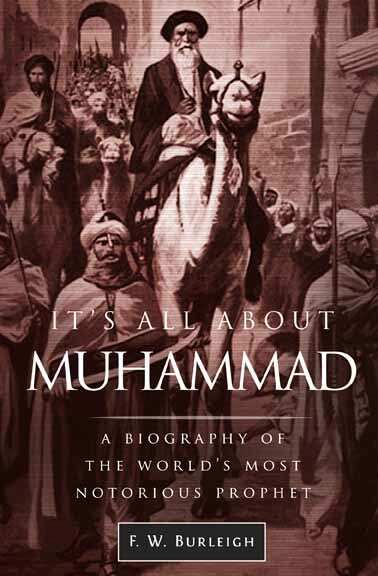 He was Muhammad’s closest friend and escaped with him from Mecca when the Meccans plotted to kill Muhammad. He was thin and contemplative and had a knack for genealogy and interpreting dreams. He had a tendency to cry openly whether happy or sad, but he was ruthless as a ruler. During his brief reign, he crushed a widespread rebellion that broke out against Islam immediately after Muhammad’s death in A.D. 632. He died in A.D. 634. The noms de guerre of ISIS leader Abu Bakr al-Baghdadi and Boko Haram chieftain Abubakar Shekau were inspired by Abu Bakr and his reign as first caliph. 4. Uthman ibn Affan was from a wealthy Meccan family. He was never famed as a fighter as he always managed to absent himself from battles. Despite this he became the third caliph and directed the Islamic conquest as far as Spain to the west and Afghanistan to the east. He was assassinated in A.D. 656. 5. Umar ibn al-Khattab, also of Meccan origin, became caliph after the death of Abu Bakr. His father frequently beat him so that he grew into a bully and loved getting into fights. 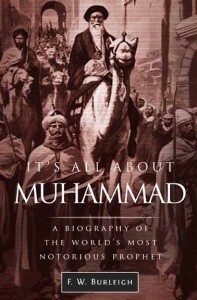 He was of note in the original literature for frequently asking permission from Muhammad to cut off heads, particularly of people who annoyed Muhammad, a request Muhammad generally turned down. As caliph, Umar directed the conquest of much of Byzantium and all of Persia. He was assassinated in A.D. 644. 7. Hamza, a paternal uncle of Muhammad, was an early convert. He was a tough, fond of hunting and carousing. The Meccans were afraid of him. He was killed during the second major battle between Muhammad and the Meccans that took place at the foot of Uhud, a mountain at the north end the valley of Yathrib, in A.D. 625. It is said that the Meccans promised freedom to an Abyssinian slave if he killed Hamza. The slave, famed for his skill as a javelin thrower, stalked Hamza on the battlefield and killed him with a throw of his spear. 8. Zubayr ibn Awwam was a maternal first cousin of Muhammad and along with Ali carried out most of the beheadings of the Yathrib Jews. Zubayr was of medium height, lean, dark-complexioned, with a thin beard. His mother used to savagely beat him “to prepare him for the world,” she would say. He participated in numerous battles and was assassinated when he was 67 years old. At the time of his death, he was reputed to be worth $3 billion in gold. 9. Sa’d the son of Muadh was one of the first of the Yathrib converts and was leader of one of the important polytheist tribes before his conversion. He is mainly remembered for making the fateful decision on behalf of Muhammad to behead the Yathrib Jews. He died shortly after the massacre from an arrow wound he had suffered a month earlier during a battle. 10. Zayd ibn Muhammad was the adopted son of Muhammad. He was purchased as a slave when he was a boy and given to Muhammad’s first wife Khadija, but Muhammad eventually adopted him. He was short with African features. His relationship with Muhammad must have been stormy, because Muhammad later got him to divorce his attractive wife Zaynab so that he could marry her. Muhammad justified it because he said God gave him the right to the woman. As an additional rationalization to quell critics among his followers who thought it was immoral for him to take the wife of his adopted son, Muhammad dissolved the practice of adoption, making it retroactive, so that Zayd had never been his son. Zayd was killed in a battle with the Byzantines in A.D. 629. 11. Abdullah the son of Masud was a lowly shepherd boy who became Muhammad’s valet in Mecca. He joined Muhammad in Mecca where he became noted for memorizing the Koran, and later in Kufa where he became a judge and Koran authority. He is most noted for beheading one of Muhammad’s Meccan enemies at the battle of Badr. This was Abul Hakam, whom Muhammad had nicknamed Abu Jahl, the Spawner of Madness, who had been mortally wounded in the battle. Masud, who was slight of build and was not known as a fighting man, cut his head off while he lay bleeding to death in a patch of thorn bushes. Muhammad gave him Abul Hakam’s sword as a trophy. 14. Abdullah Rawaha was an early prototype of the fanaticized believer. He was one of the first of the polytheists of Yathrib to join Muhammad’s religion, converting when he was in his late teens or early twenties. He was one of the seventy-five people who pledged to give their lives for Muhammad’s cause shortly before Muhammad fled Mecca for Yathrib. Rawaha was an eager combatant at Badr (A.D. 624) two years later. He became of note when he proposed burning all of the Badr captives alive in a forest fire. He fought at Uhud (A.D. 625), the battle of the Trench (A.D. 627), and Khaybar (A.D. 628). Muhammad thought enough of his leadership ability to place him in charge of Yathrib when he went on raids. After the conquest of Jewish oasis of Khaybar, Rawaha was put in charge of the distribution of Khaybar’s date produce and was later entrusted with murdering 30 of the Khaybar Jews to crush an incipient rebellion. He was infatuated with the idea of dying fighting for Muhammad’s cause, believing the reward would be a spot in paradise surrounded by celestial virgins. He got the death part of his wish when he was killed along with Muhammad’s cousin Jafar and Muhammad’s former adopted son Zayd at the battle of Mutah against the Byzantines.